Hot Picks! 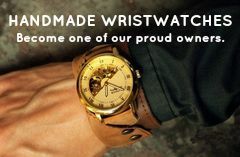 Handmade Flasks Home | About Us | Opportunities | Sponsorships | Contact Us! This week we’re warming it up on the go with handmade flasks designed by some amazing artisans from across the craft world! From custom engraving to one of a kind flask design, we’ll help you pick the perfect container to take your spirits with you wherever you may go this season! Flasks are a timeless accent to any man’s accessory collection, and there’s nothing like having an easy way to life your spirits during holiday festivities without all the hassle. 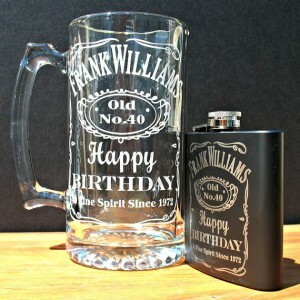 Enjoy our collection of some of the best and most unique men’s handmade flasks! 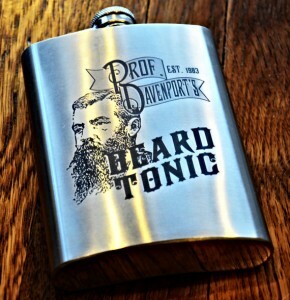 Flasks started making their way to the popular scene as early as the 1800′s where they were a popular addition to the accessories of the affluent and aristocratic socialites. In the early days, women were likely to carry a flask just as much as men, and some were even designed to fit snugly inside a garter belt. The American prohibition in the 1920′s made the hip flask even more popular as is created a way for people to have spirits on the go with less chance of being caught with a bottle. In the modern day there has been a resurgence of interest in both antique and newly made handmade flasks which has created a market for many amazing artisans to produce works that speak to the modern male while honoring a timeless tradition. 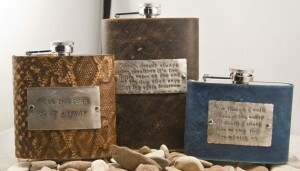 Here are some of our favorite men’s handmade flasks! Click on the image to see more from each artisan – on most cases there are several to choose from in each shop. 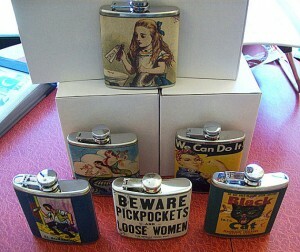 Tagged Flasks, Handmade Flasks, Hip Flasks, Vintage Flasks. Bookmark the permalink. 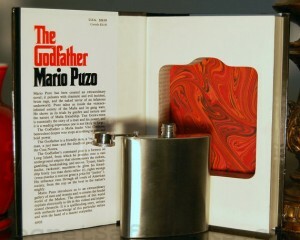 I love the flask’s remarkable design, especially the pretzel one. Its bizarre, but brilliant. 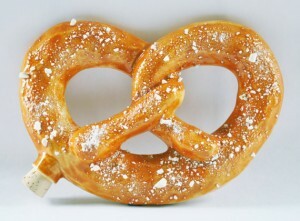 Haha awesome, I love the pretzel flask.